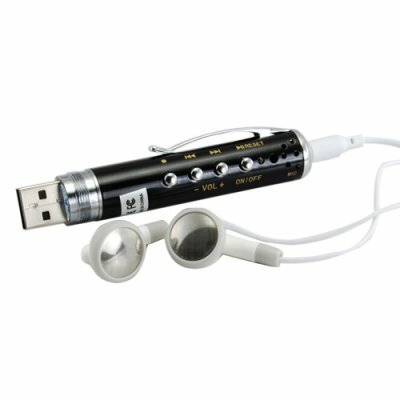 Successfully Added MP3 Audio Recording Gadget Pen - 2GB Flash Disk Design to your Shopping Cart. MP3 Gadget Pen + Device - 2GB Flash Disk Design. Fully functioning gadget black steel pen direct from the best gadget makers in China, featuring a built in 2 GB MP3 player, plus a built in high quality MIC for record hours of audio for study or for recording of what people are saying. Hello. Please let me know what it is the operating time for this item. on 2009-08-27 07:44:19 Great sound! Really needed this pen a long time ago. I have tested this in meeting and conference call, it works great! !